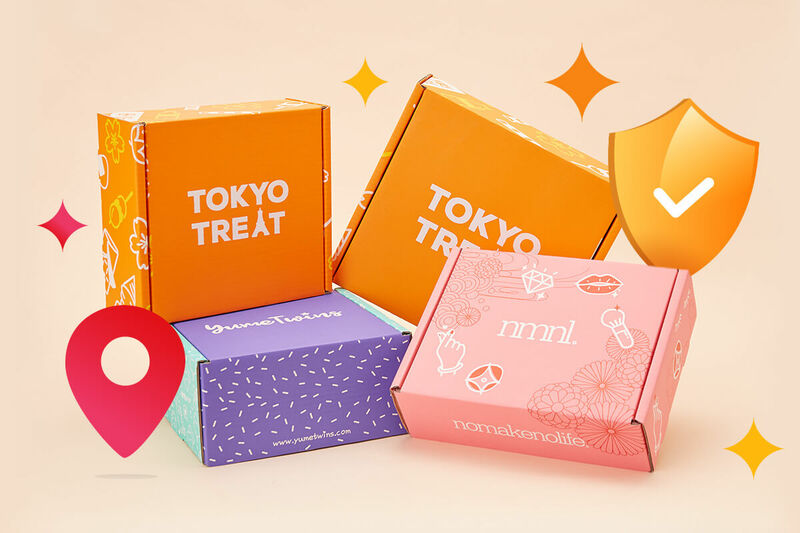 Kawaii Character Desserts Are Blowing Up on Instagram | YumeTwins: The Monthly Kawaii Subscription Box Straight from Tokyo to Your Door! 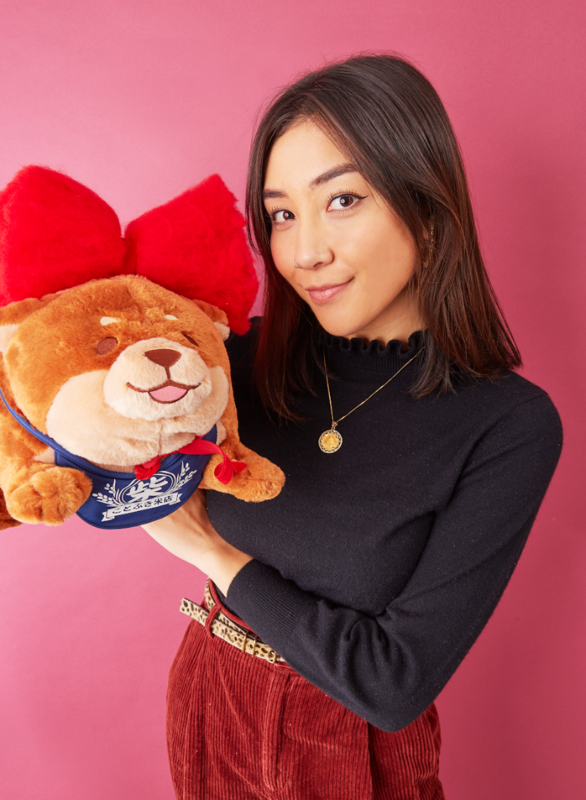 Here at YumeTwins, we love discovering creative ways people express their love for all things kawaii! 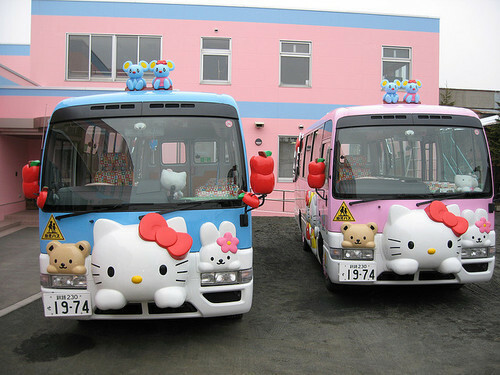 Kawaii is a specific type of cuteness derived from Japanese culture that we have covered in a blog before! 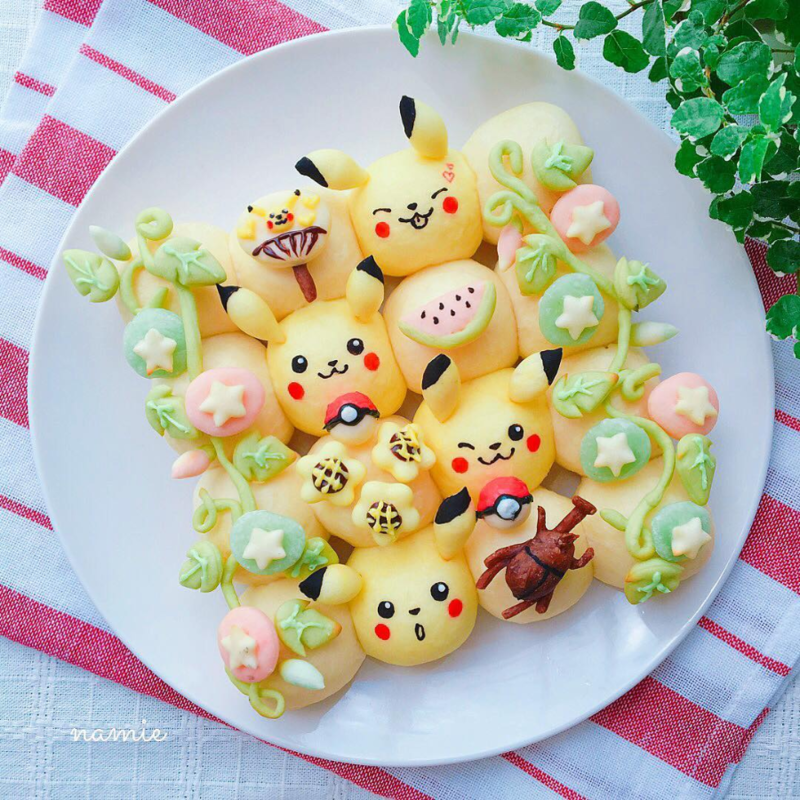 But recently we have found ourselves spending hours scrolling through Instagram pages dedicated to making the most exquisite, detailed, and flawless kawaii desserts we may have ever seen. It would be an understatement to say that we were ecstatic to find this niche crevice of the internet! Needless to say, we were blown away by these talented bakers and chefs' extreme attention to detail. It would be a shame for their gifted talent went unnoticed, so we have compiled a list to share with all of you! 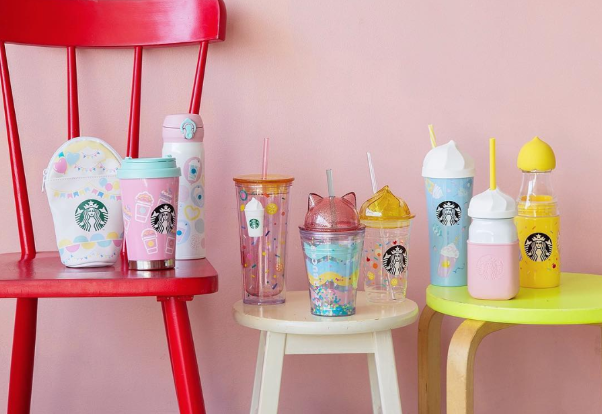 Check out all of these adorable character treats! Who wouldn't want to dig into this kawaii bread? 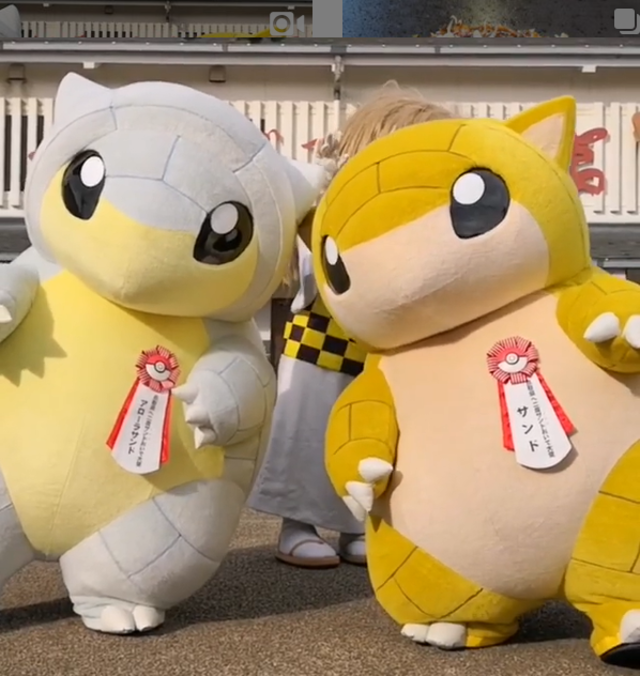 We can absolutely appreciate the efforts that have gone into this amazing Pokemon creation. We love the addition of summer vines intertwining on the sides for an extra pop of color! We haven't been this excited about Pokemon art since we discovered Pokemon wedding jewelry, but this one's selling point is that it's edible! Can't compete with that. This baker's Instagram page is filled with vibrant colored breads in the shape of our favorite characters- check out their page for more characters from Studio Ghibli, San-x, and Disney! 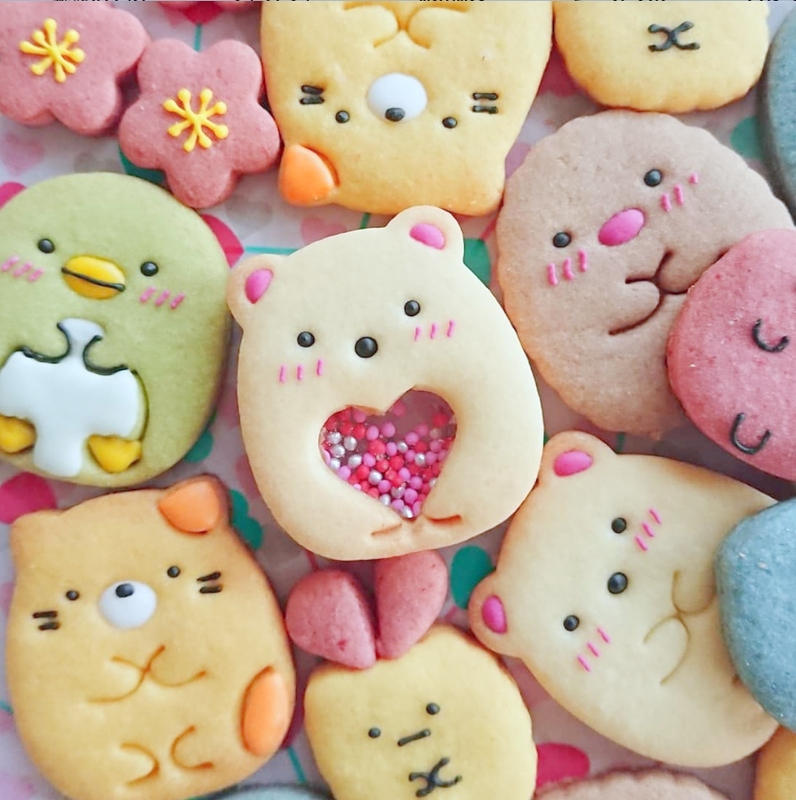 If you're tired of the same old chocolate chip cookie recipe, get inspired by this incredibly kawaii cookie page! We could not resist the cuteness of one our favorite group of characters, Sumikko Gurashi. We love how they have blushing cheeks and keep their plump chibi form! The coolest part about the cookie in the middle is that the baker used sugar glass as walls to encapsulate the sprinkles so you can shake it up! We were always told not to play with food but for this rattling cookie I think we can make an exception! Is it possible to fall even deeper in love with breakfast food? 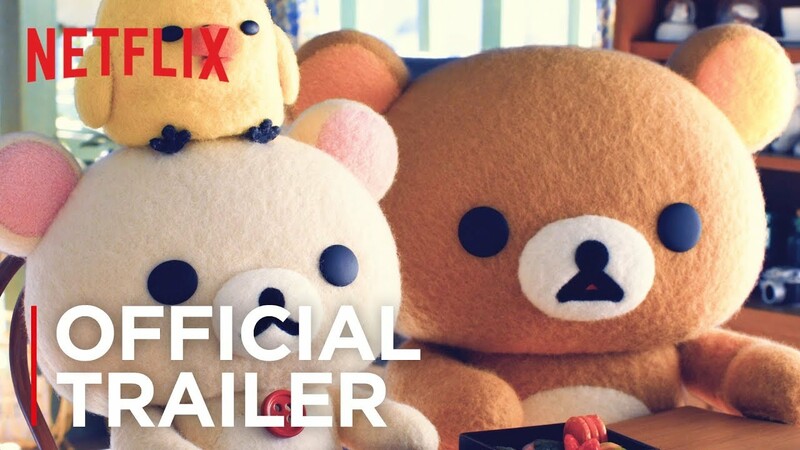 I mean we already loved pancakes before this but Rilakkuma pancakes are taking it to a whole new level! 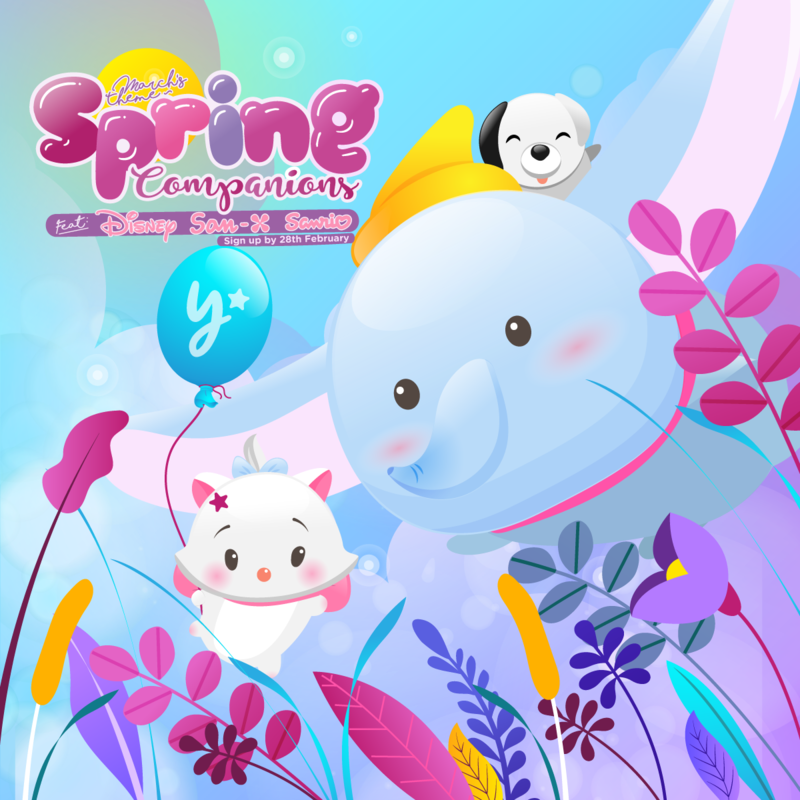 We love that each pancake has a slightly different expression and love the sakura shaped banana slices! 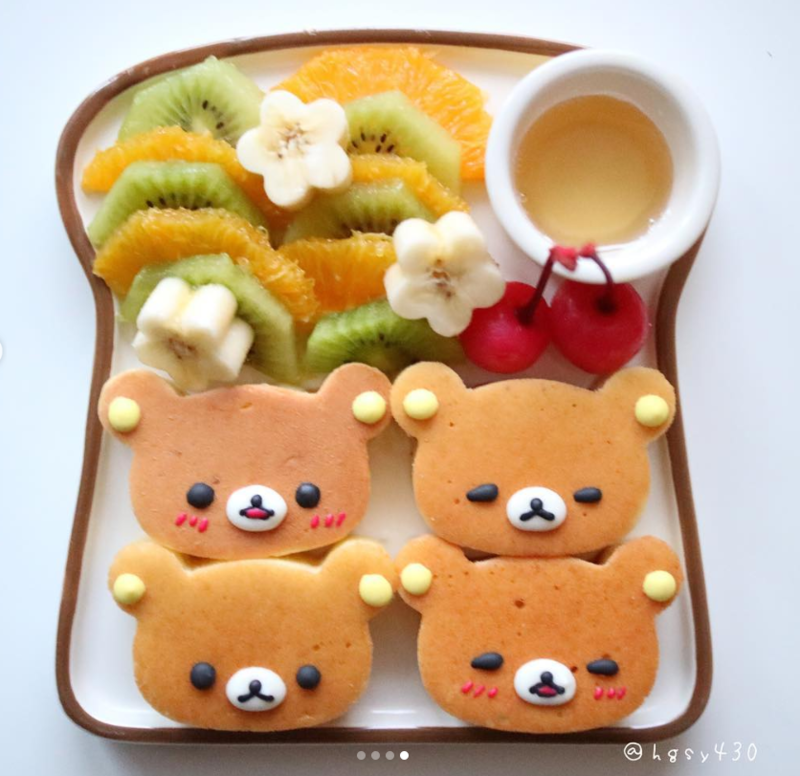 This artist loves Rilakkuma just as much as we do so check out their Instagram page for more edible Rilakkuma art! 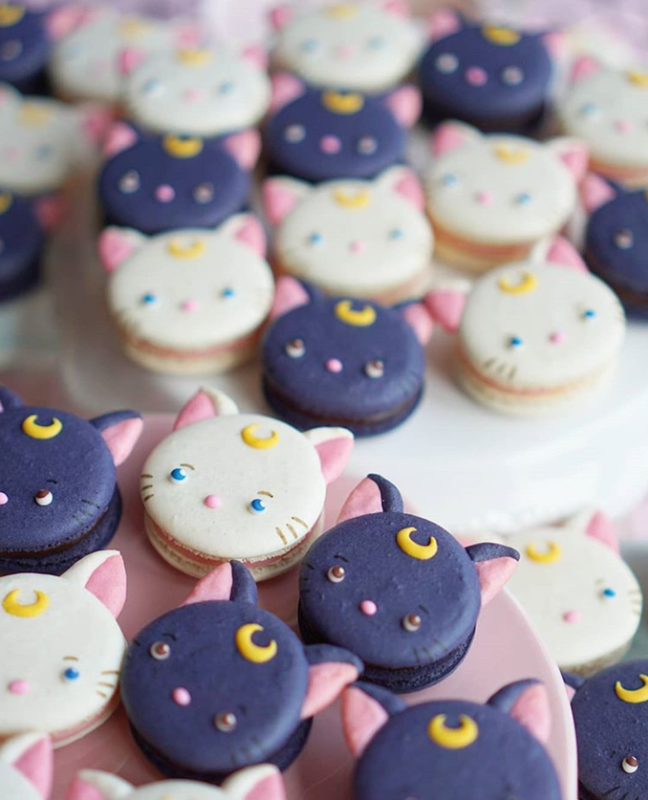 These Luna shaped macaroons actually made our hearts stop. Macaroons are known for being an incredibly challenging dessert to perfect so the detail and efforts made on these cannot be ignored! Even the eyes on the cats have dimension and look as if they are twinkling. And the sheer volume of how many Luna macaroons were made have us flabbergasted! 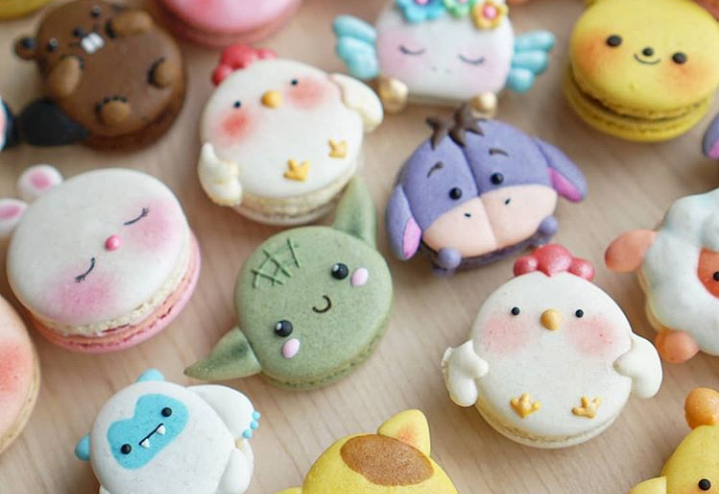 Beware of this kawaii macaroon Instagram page, it's highly addictive! 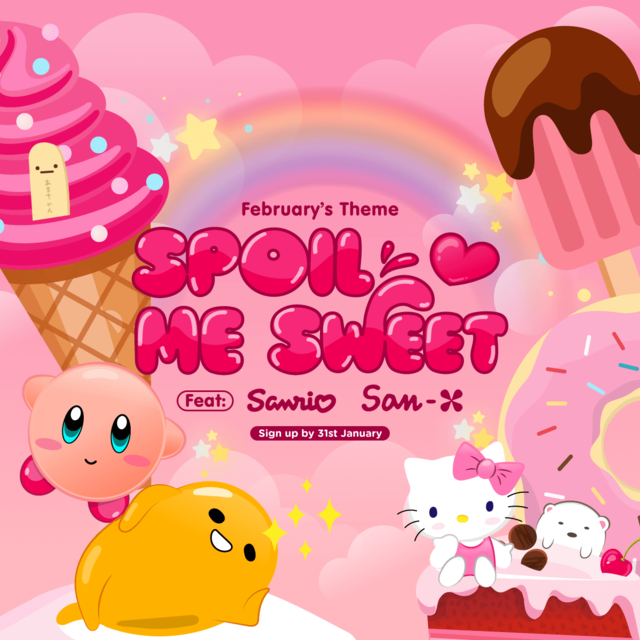 And lastly, we had to include at least on Sanrio character and one crepe dessert! 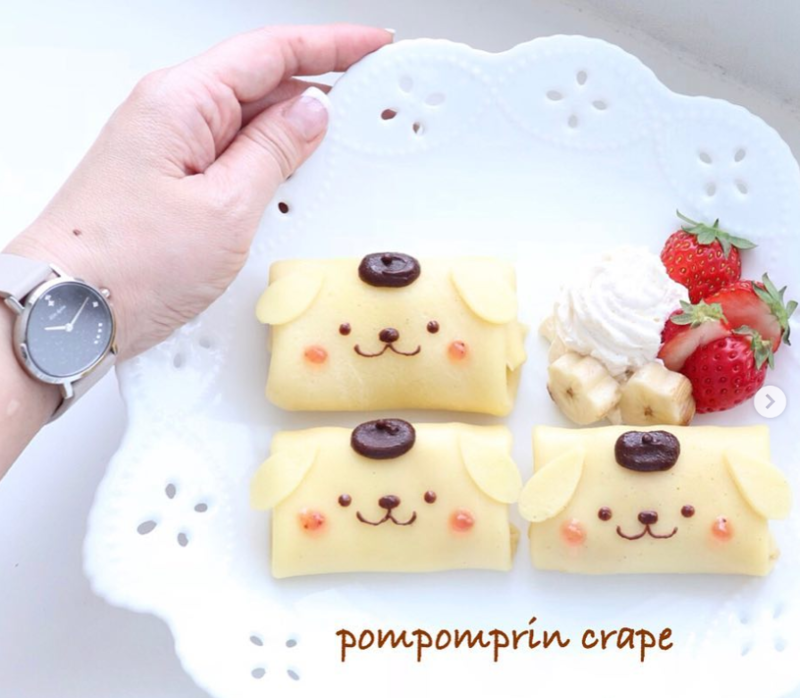 This Pompompurin design is absolutely brilliant and we love the simplistic plating! Check out this artist's page for a clean aesthetic and adorable desserts for some recipe inspiration! Which dessert would you want to eat first? Leave your thoughts in the comments, we read and respond to every single one!